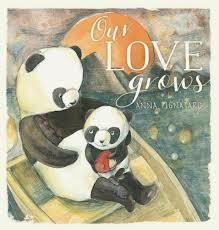 Our Love Grows by Anna Pignataro has a sublime que sera sera flavour to it created by Panda Pip’s repeated question, ‘When will I be big?’. His wise Mama calmly explains that with the passing of time, he is growing as surely as the world around him that is also continuously altering. Petals fall, seasons change, footsteps grow bigger in the snow, and babies that once fit snuggly into a mother’s embrace become too large for arms to hold but never hearts. A beautiful poignant reminder that the passing of time never diminishes a mother’s love, rather it augments it. 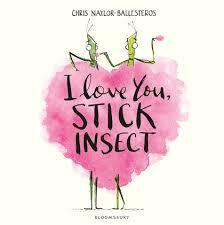 Pignataro’s illustrations will melt your heart. 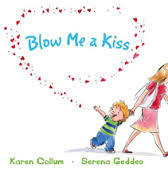 First published in 2010, Blow Me a Kiss by Karen Collum and Serena Geddes, captures the spirit of innocence and belief that the very young enjoy sharing so vicariously. Samuel shares his kisses with a range of unsuspecting rather grumpy individuals as he and his mother go about their daily tasks, unwittingly infecting all those around him with joy and happiness. Playful text springs alive with Geddes’ bouncing illustrations. A love fest for the soul. New additions to any family can result in times of turbulence and tribulations. 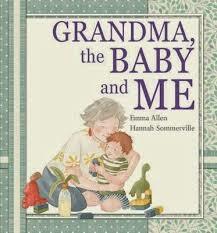 In Grandma, the Baby and Me, Grandma understands this better than anyone does, especially when Henry’s new sibling joins them. Life skids off kilter for Henry as he adjusts to new family dynamics and the feelings they stir up. 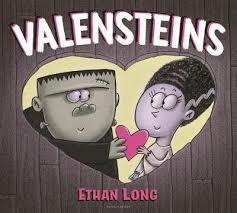 Fortunately, Grandma’s special little hand squeezes help reinstate Henry’s tolerance and love. 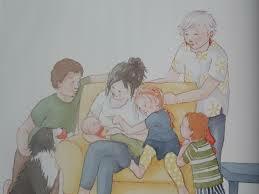 Emma A llen tells Henry’s tale with expressive warmth and adroit pre-schooler perception enhanced by Hannah Sommerville’s beautiful watercolour illustrations. 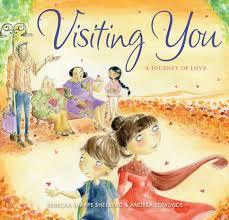 A touching portrayal of the significance of secondary carers and grandparents in a child’s life. Having lived through the birth of baby George in Shh! 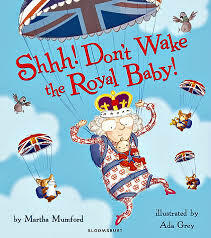 Don’t Wake the Royal Baby! and his first birthday in Happy Birthday Royal Baby!, the Cambridgeshire corgis are about to have their world rejigged once again. Announcing the new picture book by Martha Mumford and Ada Grey, commemorating the imminent second arrival of the Duke and Duchess of Cambridge, Hooray! It’s a New Royal Baby! While the titles may not invigorate the imagination, this series of books provides royal lovers and young families alike with enough colour and laughs to tie them over from one headline to the next. 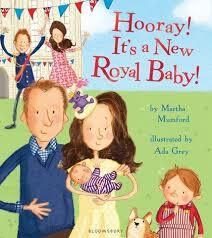 This book shows everyone in the palace experiencing unmeasurable pomp and excitement as Royal baby No. 2 makes his way into the palace. George however is not as amused. The Duke attempts to appease his royal first born with a new pet goldfish, which is brilliant at first but quickly becomes boring. Fortunately, George discovers that babies are anything but boring and ‘much more fun than having a new goldfish’. He and the new Royal baby soon develop an unbreakable bond of sibling love, but is it enough to convince the Royal couple to have more children? Bubbling with cheek and gaiety, Grey’s illustrations capture the Royal family verve with incredible likeness and a right royal jolliness that reflects this cute, family-orientated narrative.